The year was not all roses for me sewing-wise unfortunately and this post is to share my misses. Yep I am far from perfect and the same for some of my projects. 1. 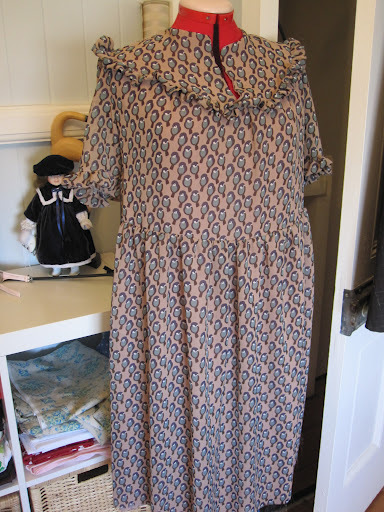 This attempt to make a 1940’s pattern from an Australian Home Journal – it was all good until I added the skirt. Then it was so awful that it ended up balled in a corner for two months before being cut up and made into this top. I love the replacement but will have to give the pattern another go as I won’t let it beat me!! 2. Flowery, Girly dress – the fit on this is not great. In my defence at the time I was not really reading or following any blogs, if I had I would have known that loads of people had issues with this pattern and might have made a muslin. *sigh* live and learn. 3. 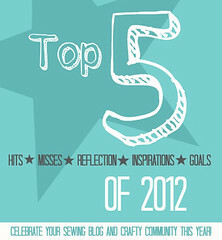 My first item I blogged about. 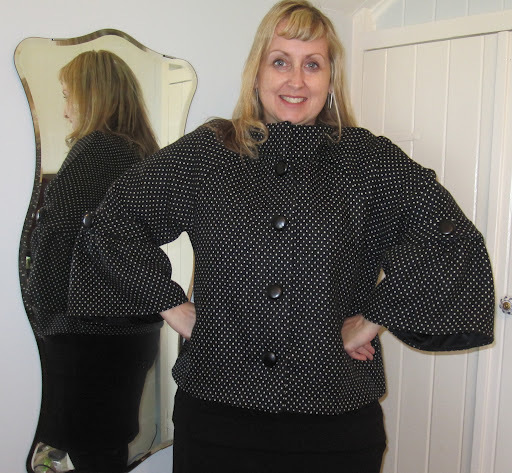 I did like the jacket when I first made it and I still think it’s…ok, but I am not loving the sleeves. I may refashion it and narrow the sleeves to look a bit more normal. 4. 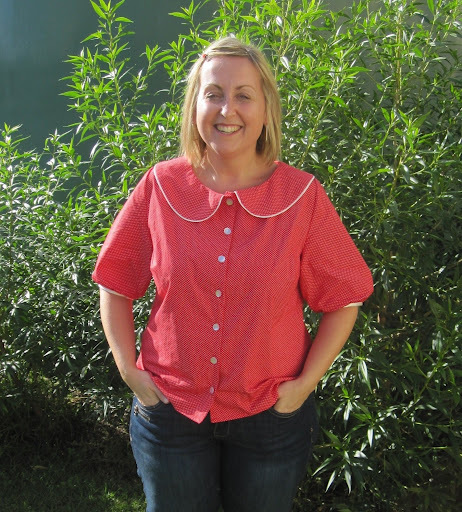 Colette Violet – I never wear this blouse, it just feels too boxy and a bit short. Again, just not feeling the love. Plus the collar seems huge and it is too big across the shoulders. Seriously thinking of refashioning it as I hate things to gather dust in my wardrobe. 5. 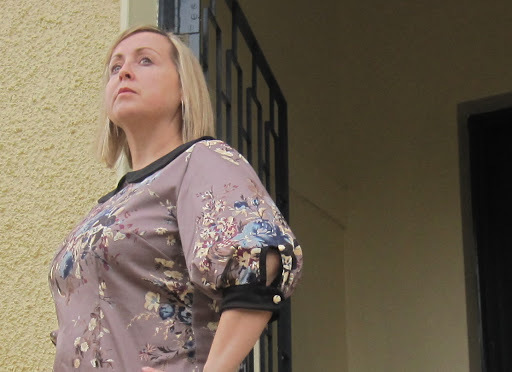 The Turnaround Blouse – another top I just don’t wear. Not really sure the reason, I guess I feel it is not that flattering, plus I didn’t have a decent skirt to wear with it. Now I do, but it is the wrong season, perhaps next season? I do really like the fabric so perhaps just need to find a way to wear it in 2013. – it doesn’t matter too much, if I don’t like it, it can always be hacked or donated! What are your fails for the year? Please share and make me feel better!! I like the flowery dress, that's a shame you had so many issues with it. That jacket is FIERCE! Love it so much! I always find it hard to go through my makes and see some of the pieces that I can now see just weren't working in hindsight. I figure it's all a learning curve 😀 Can't wait to see your refashioned pieces! Great save on that 1940s dress – that fabric is perfect as a Sencha! I love those dusty mauve colors on you – so perfect for your coloring! Oh, I am so glad I am not the only one with flops. Today I made a real bummer by fixing a work dress by replacing the bodice. Only, well, I sewed the skirt and bodice together wrong and ended up with the seam facing out for all the world to see. I swore. Loudly. I'm glad you were able to save the dress, too– what a sweet little Sencha you've made! I'm posting my fails tomorrow– not really enjoying thinking about that, but it's a good learning process, right? Sewing is like RTWS shopping – you think you love it at the time but a few weeks later you think 'what on earth was I thinking'! I'm impressed you fix things – most things I give up on and move onto something which I know will work. Now off to start my second knitting project! I still wear this dress from time to time but it has wrinkles in places it shouldn't due to fit, but no-one else seems to notice. Perhaps if it was RTW I would get that anyway! Really? Hmm still not sure on the sleeves, although it looks kind of cool with skinny black jeans. Agree, it is all a learning curve and steep at times! So true, we are always learning and improving. Some patterns will be relegated to my swap pile, lesson learnt! Thanks for all your positive comments this year, you seem to find the positive in everything, a great skill to have!Maybe I need to re-look at the Violet, other people seem to like it, perhaps I will try styling it differently.Happy sewing! Oh no, I hate making sewing mistakes. I was making something the other day when I was tired, dumb mistake, I made heaps of errors and really made friends with the seam ripper – I was so angry!! Absolutely a learning process, constantly evolving too. I find my style is slowly changing to one that is really "me", I love it! I don't always fix things, sometimes I donate them to Lifeline, but if they can be fixed or repurposed and I like the fabric I will give it a go, I don't like things to beat me. Of course if it is a lost cause, I just give it away and block it from my memory!! So true, at least I learnt something, now onto a productive 2013 with a better success rate!